These are from the Miss KG line. 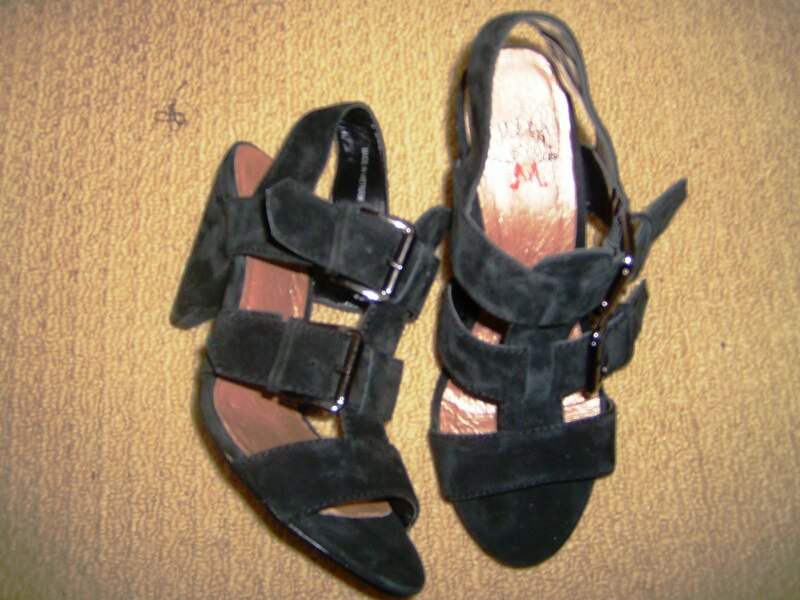 They are made from the softest black suede. They have a midi cone heel and big brass buckles. I love them and they only cost £30! However, I did not just stop at one pair. Hell no. 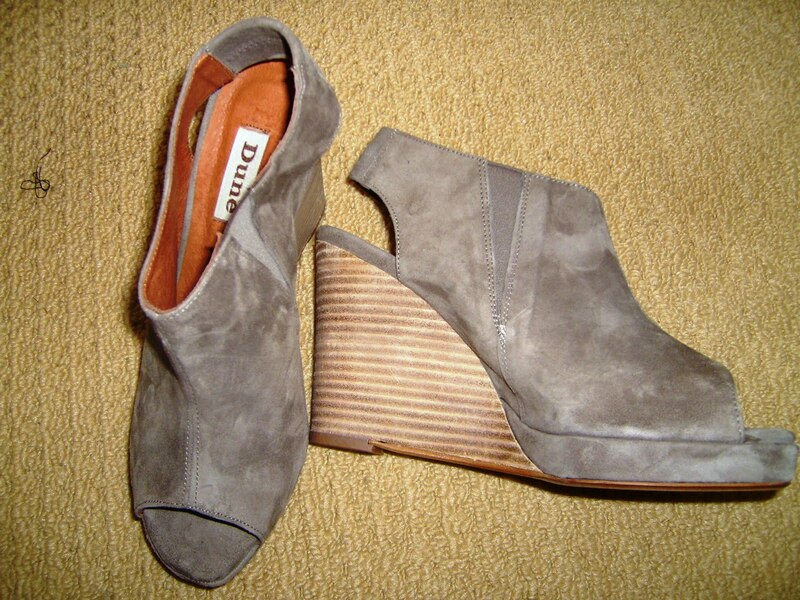 I went to the Debenhams sale and promptly found these grey suede Dune wedges. So they weren’t quite in the sale but I just couldn’t resist. They look a bit clunky in the picture but you have to imagine them on. They look perfect with my OR Matisse dress. They have a jewelled bar up the front of the foot, have a slight raise in the platform creating a cute little heel, are snake print, and fasten with a popper hidden behind the grey bow. Love them!!! I think I’ll save my new peach wedges and silver lace up pumps for another post…. Whoops. "Gots me in a dilema…." "HIgh brow – low brow"
hey Jo. i got my stella's last year from a candian department store called holt renfrew. i was very lucky because they had a great sale and i scored them at 50% off. aaahhhh this is the second pair of shoes (grey wedges) I've seen today in the blogsphere which I also own. Strange, I forget other people visit the same websites and shops as me haha. Deb's have some mighty fine shoes at the mo!